The British born murderer was investigated by MI5 a number of years ago, but fell out of the ever changing intelligence environment. He has yet to be named. Police investigating the crime have now made eight arrests in raids in Birmingham and London:“The inquiries in Birmingham, London and other parts of the country are continuing. It is still our belief, which continues to be borne out by our investigation, that this attacker acted alone and was inspired by international terrorism. 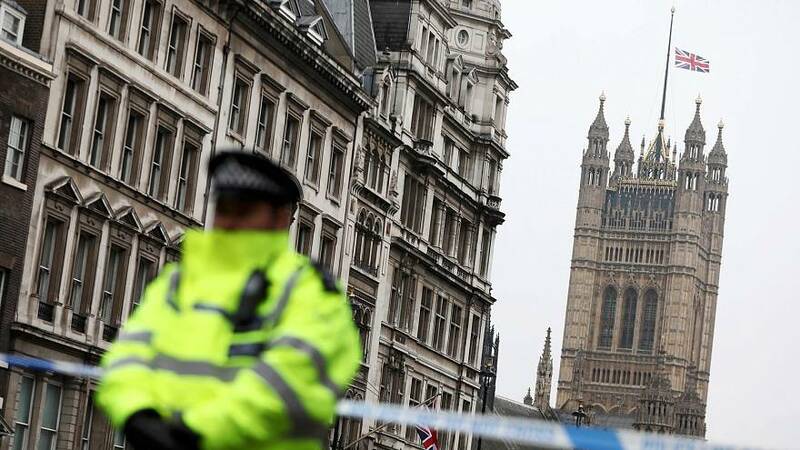 To be explicit, at this stage we have no specific information about further threats to the public,” said Mark Rowley, Metropolitan Police Assistant Commissioner. The car involved in the carnage was hired from Enterprise car hire in Birmingham the company said it is cooperating with authorities after an employee recognised the number plate in the aftermath of the attack. Four people have been confirmed dead PC Keith Palmer, teacher Aysha Frade, an unnamed man in his 50s and the killer. The nationalities of those injured include 12 Britons, three French children, two Romanians, four South Koreans, two Greeks, and one person each from Germany, Poland, Ireland, China, Italy and the United States.